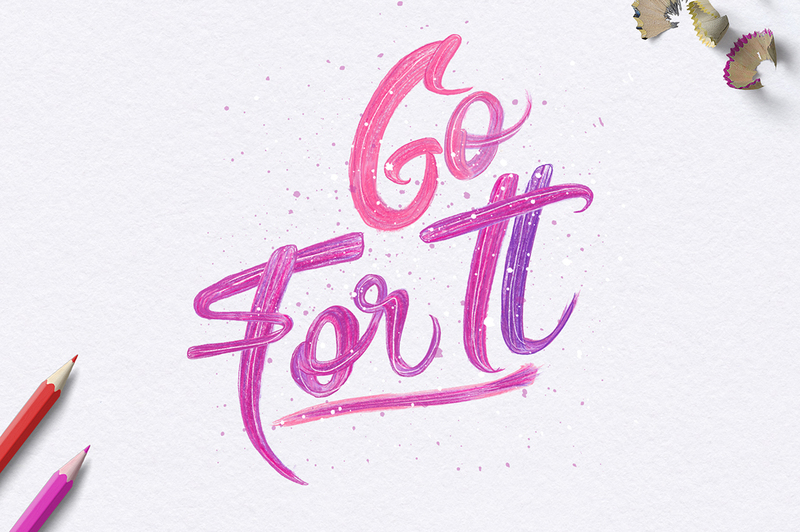 Create high-impact paint streaked lettering on the iPad with this texture kit made especially for Procreate! This kit contains over 100 vibrant textures to bring color and energy to your designs. Authentically sourced from real art materials these textures will save you hours of changing colors for each stroke or searching for that perfect brush to achieve a realistic result. You only have to scroll Instagram to see how popular streaky paint lettering is. Rather than trying to replicate each individual paint stroke, this pack allows you to create this striking effect by bending and folding pre-made strokes around your letters! Created to take special advantage of the ‘warp tool’ in Procreate. 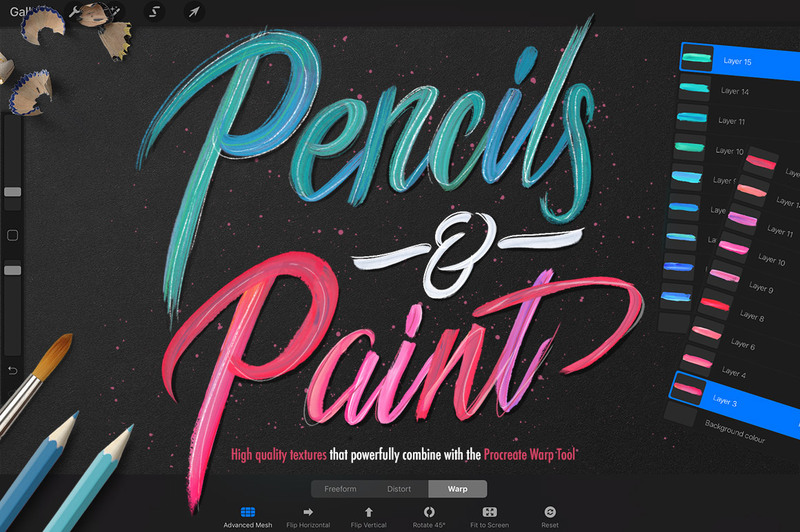 Previously only achievable in Photoshop or 3D software, it is now possible to create this authentic paint streaked look straight on your iPad from Procreate. This is only one of many ways to use these versatile textures. They also make awesome backgrounds for eye-catching social posts or stunning elements for packaging or product design and much more! 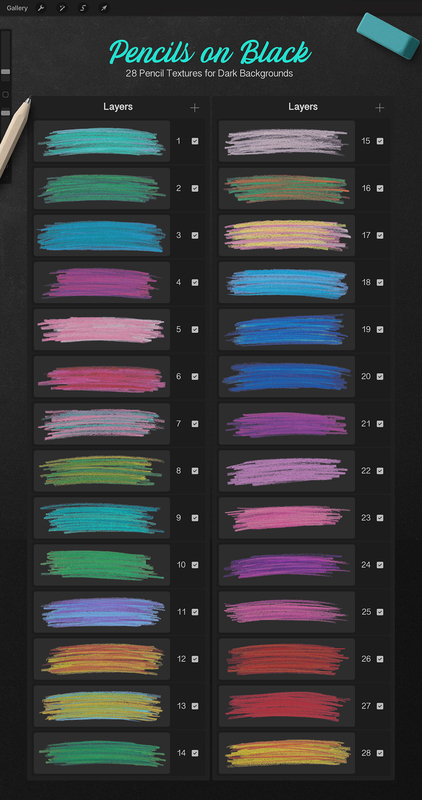 The colors are easily adjustable using the hue and saturation sliders in Procreate. Play with different layer blend modes for endless options. There’s a lot of textures in this pack, so handy reference sheets are supplied so you can find exactly what you are looking for. 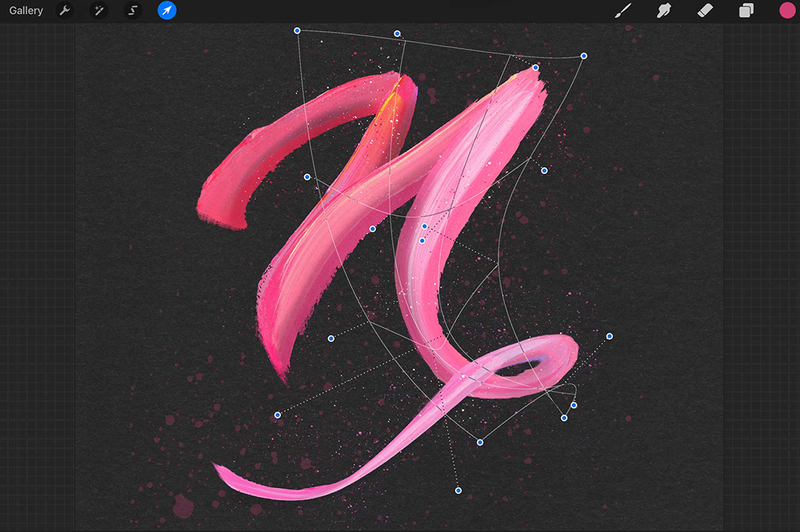 You’ll be surprised at how intuitive the warp tool is, but there is a detailed video tutorial included to help you get started, as well as installation steps for setting up in Procreate. Please Note: The paint textures work on both dark and light backgrounds. Because of the highly textured nature of pencils, separate assets are supplied for use on a light background as well as dark to give you maximum flexibility. 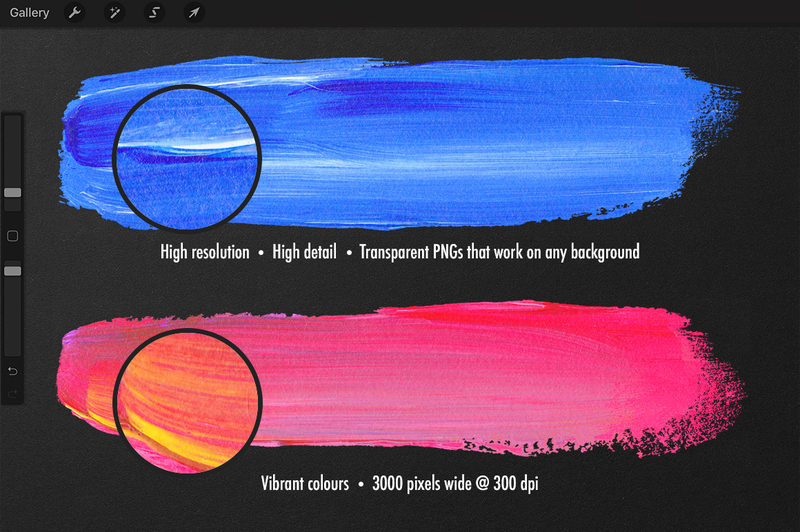 The brushes are also included as png textures for compatibility within other applications.